Hello and welcome to the 193rd instalment of the SWD. The Syrian Democratic Forces Women’s Defense Units advanced against ISIS in the city centre of Raqqa. Government forces lost Jabali, Qibli, Shuraydah and Sabkhah villages. Although, SAA attacked and captured all the hills overlooking Ghanem Ali despite losing 15 soldiers, according to ISIS sources, after fighting against ISIS terrorists. 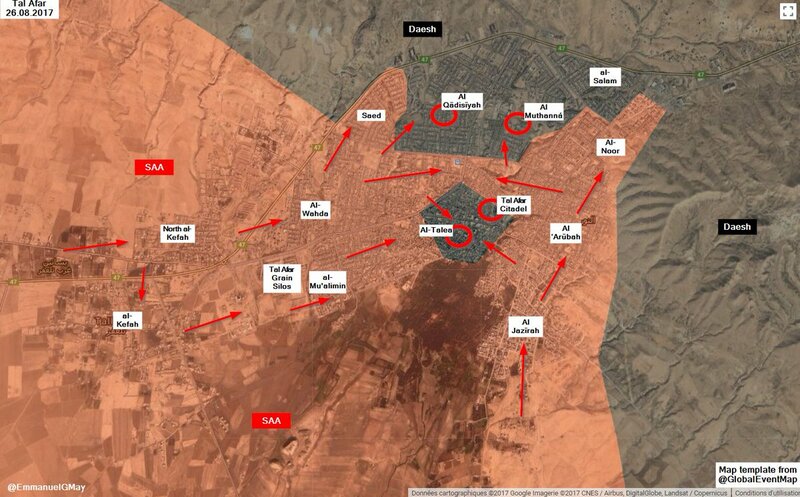 Additionally, Tiger Forces recaptured Ar-Rahbi and Sabkhah from the terrorist organisation. 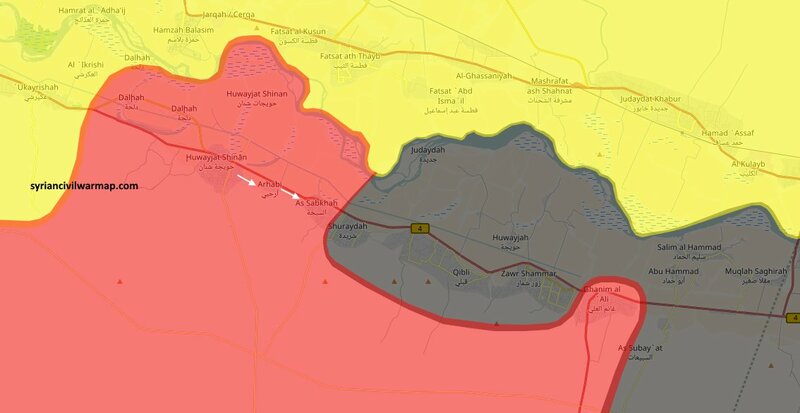 It appears that government forces retreated in purpose to, later today, recapture some areas behind ISIS main offensive forces. Finally, SAA forces recaptured some of the areas from which they retreated. Russian air support was provided as air cover to government forces as heavy clashes took place, and continue to occur. Clashes between some opposition forces and government militants took place at Maryudah and Makhalah areas in south Aleppo governorate. Abu Amara Special Task Brigade claims to have set off an IED in Al-Furqan district inside Aleppo city, which destroyed several cars. The Islamic State continued with its sporadic raids against SAA checkpoints and strategic positions in the Salamiyah-Ithriya highway. Today, the terrorist organisation destroyed a BMP and a T-72 tank and killed some fighters in a mine blast. The area of Houla, in the northern Homs pocket, has been bombed multiple times by government warplanes despite being located inside the Russian de-escalation zone. Government forces have cleared one of the three recently created ISIS-held pockets. Specifically, the cleared pocket is all that area located to the north of Sukhnah city. Thus, the SAA and its allies have captured the whole mountainous area between north of Palmyra through northwest Sukhnah until Sha’er fields. The captured areas include Harith, Rawdat Wahsh, Asfouriya, Jabal Manshar, Khashm Mansur, Khashm Nuayo, Khashm Hamidat, Jabal Alabud, Wadi Qatqat, Jabal Thaniah, Safra, Jabal Hawiyah Ras, Khribet Samouriya, Jabal Sath, Tilal Ghurayr, Saydat, and Wadi Sahli. Additionally, SAA forces have advanced west of Manukh and to the north of Sukhnah city in the deserts of Homs governorate. The Syrian Arab Army and Hezbollah units captured Shames Tam Mal mountain. 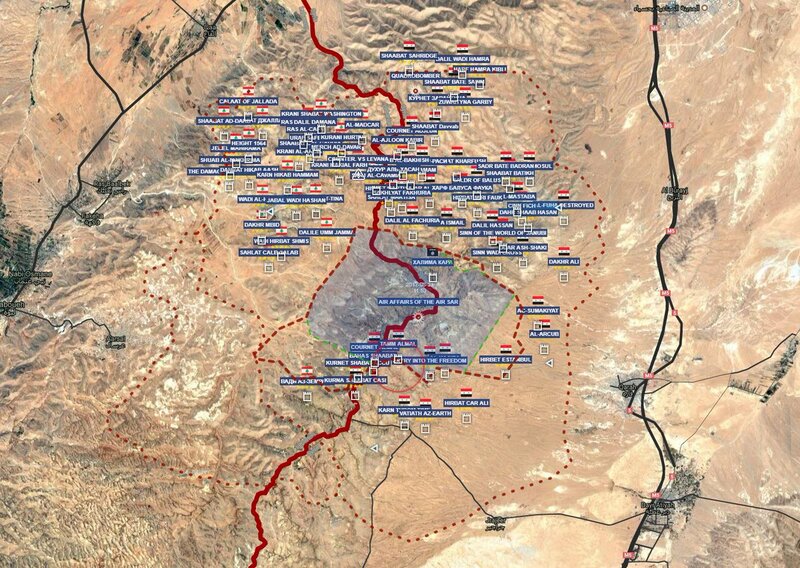 Government forces captured multiple locations close to the Syrian-Jordanian border, including points 161, 162 and 163. Government offensives were supported by close air support. ISF and PMU have captured Tal Afar Citadel, Al-Talea, Al Qadisiyah and Al Muthanna districts from ISIS forces. Almost all Tal Afar city has been retaken from ISIS forces in just 7 days. On the 25th of August 2017, CJTF-OIR has conducted 29 strikes in Syria. CJTF-OIR‘s main focus in Syria is Raqqa region where they did 24 strikes supporting SDF‘s operations against IS destroying 20 fighting positions, two logistics nodes, two command and control nodes, VBIED, an ISIS UAS, a vehicle, and an ISIS headquarters; and suppressed an ISIS tactical unit. Other areas where five strikes occurred are Abu Kamal and Deir ez-Zor destroying four ISIS oil stills, three ISIS well-heads, and an ISIS check point. The full report on CJTF-OIR strikes conducted in both Syria & Iraq can be found here.